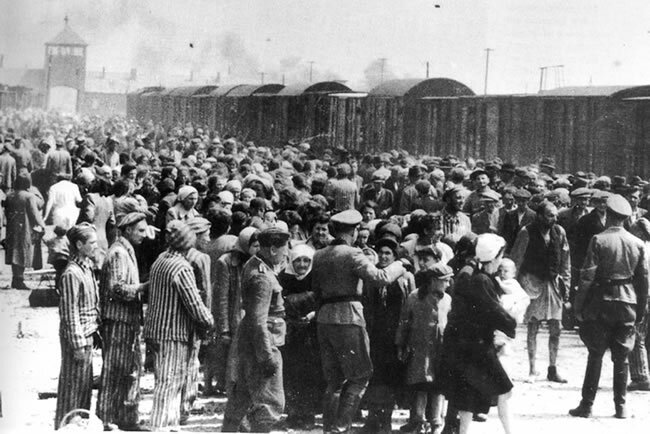 The 400,000 Jews in Hungary and its annexed territories were deported to Auschwitz-Birkenau in a lightening operation that began on May 15, 1944, and lasted a mere seven weeks. Our survivor Dora Niederman and her family, in the far eastern zone, were on an early transport to Nazi-occupied Poland. 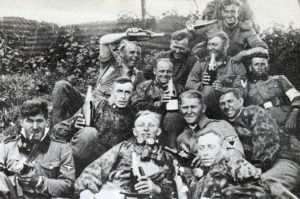 On March 19, 1944, the Germans occupied Hungary and installed collaborators in the government. 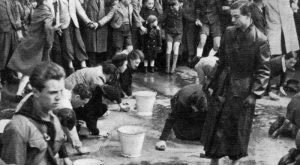 Although an ally of the Germans and anti-Semitic to the core, the Hungarian leader Horthy had refused Hitler’s entreaties to deport the Hungarian Jews to Poland. He knew what deportation to Poland meant. He wanted to get rid of the Jews but not by murdering them. After the German takeover, Horthy remained as head of the new government. 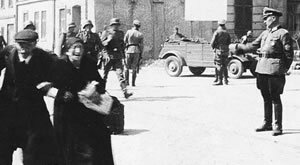 On July 9th, Horthy defied the Germans and stopped the deportations. International pressure to do so was intense, with appeals coming President Roosevelt, Pope Pius XII, and the king of Sweden. In August and September 1944, American heavy bombers from Brindisi, Italy, following the same railroad line carrying Jews from Hungary to Auschwitz-Birkenau, bombed the German factories (producing synthetic fuel) at Buna, near Auschwitz-Birkenau. On one flight the automatic camera on an American plane activated prematurely and snapped photographs of the death camp.